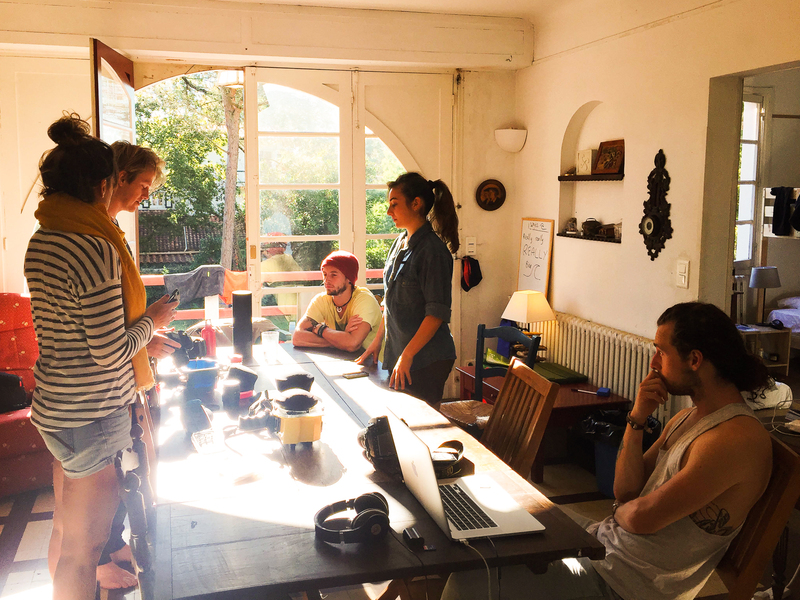 Award winning Surf Photographer Lucia Griggi heads up our first photography course. This Autumn saw the launch of Wavelength’s first surf photography workshops. 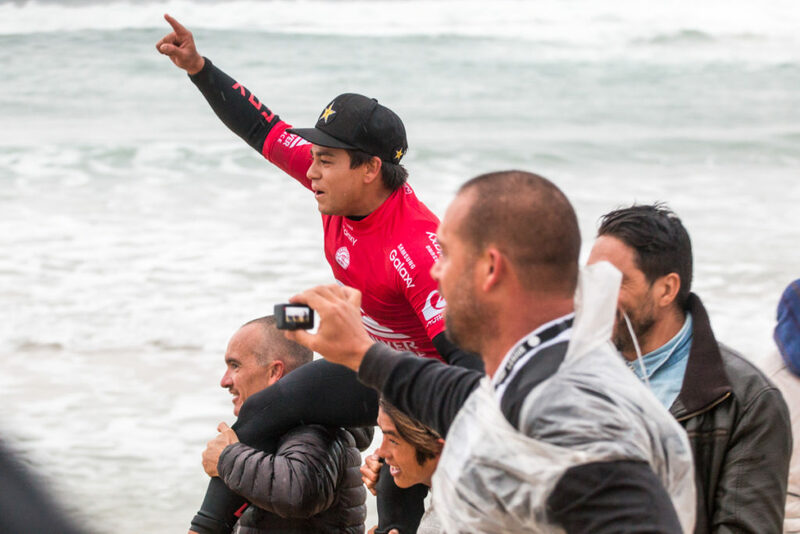 It’s no coincidence that this coincided nicely with the annual surf pilgrimage that is the Quiksilver Pro in Hossegor, France. As regular as clockwork, this time of year provides not only some of the best conditions in Europe but also sees South West France open its doors to one of the most popular stops on tour. Combine this with the arrival of the world’s most recognisable surfers on our continental doorstep and you’ve got the perfect recipe for capturing some stunning surf imagery. Under the watchful eye of award-winning surf photographer Lucia Griggi, our group of eager students started each day with an early doors check of the local conditions, checking the banks, tides and forecasted wind before hitting the road. 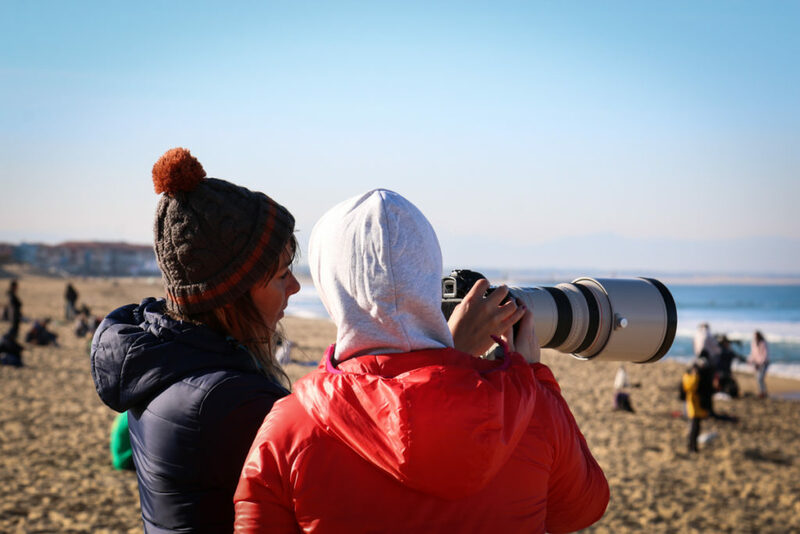 With Lucia’s expertise also comes a healthy amount of surf specific camera equipment, students were able to sample some high-end telephoto lenses, professional level bodies and more importantly, learn how to use them properly. With the first few days of the workshop seeing the Quik Pro on hold, students were teamed up with UK longboarders Ben Skinner and James Parry for a chance to shoot an organised surf session, typical of a magazine feature or commercial style shoot. Lucia was on hand to offer tips on positioning and shooting styles while our students got their first taste of a practical surf shoot. 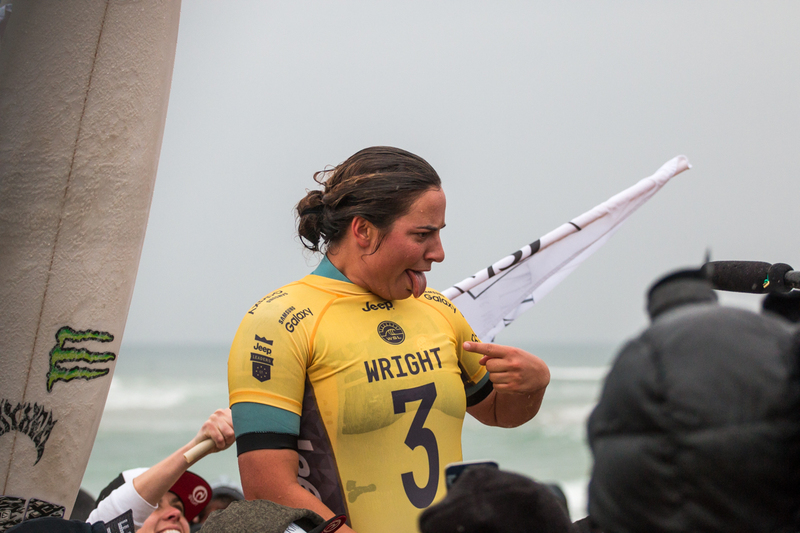 As well as getting familiar with long lens techniques and shooting surf from the beach, Lucia’s team were also encouraged to take an interest in the lifestyle side of surf culture. With a never ending stream of high-performance action saturating our always on social media channels, documenting the characters and journeys involved in the pursuit of perfect waves is something Lucia encouraged, explaining that a professional photographer not only documents the ocean, but the people and places that come with it. A fresh swell got the CT girls and boys back in their jerseys and gave our students a fresh set of subject matter. 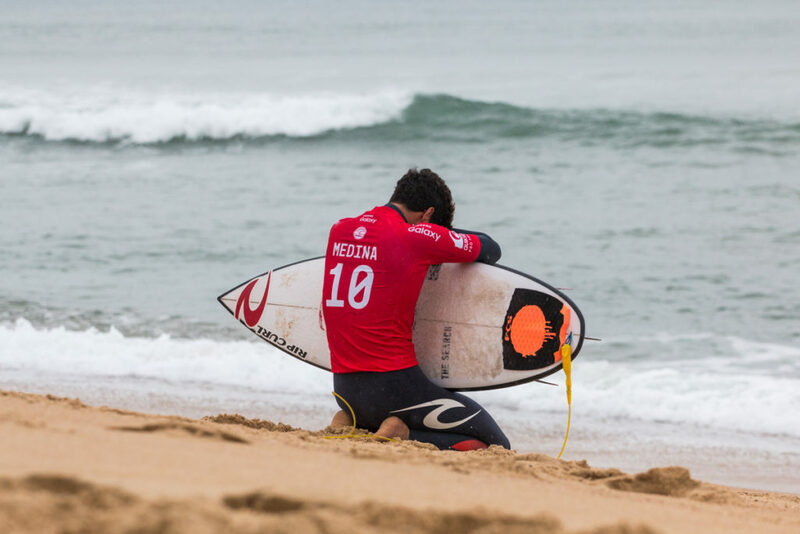 With the first contest call at an eye-watering 7am, they were on the sand just before sunrise, taking advice from Lucia on where to setup their 300 and 400mm lenses, hoping to grab an early glance of the top 33 getting a sneaky practice surf under their belt. It might be the taking part that counts, but it’s the winners that need the attention. The students made it through the hustle of the kids, autograph hunters, selfie-ers, journos, superfans and paparazzi to get all important victory snaps. As the sun set on each long day Lucia and team assembled back at the Wavelength House to download memory cards, recharge batteries and gather round laptops for a review of days photos. With lessons on archiving and editing setting the scene for most evenings, students were able to spend time selecting their best shots ready for appraisal by both Lucia and the Wavelength editorial team. With an emphasis on commercial viability, from both a magazine and business point of view, the team discussed the importance of composition and brand awareness as well as in insight to the selection method editorial teams make when considering images for print. With the contest done and dusted, the team took a look at another aspect of surf photography that can often go overlooked, the fabled lifestyle shoot. Often tacked onto the end of a couple of weeks of pitching blue barrels in some far-flung tropical destination, the ability to come home with a hard drive of bikini and boardshorts shots is a weapon that should be locked into every salty photogs arsenal. 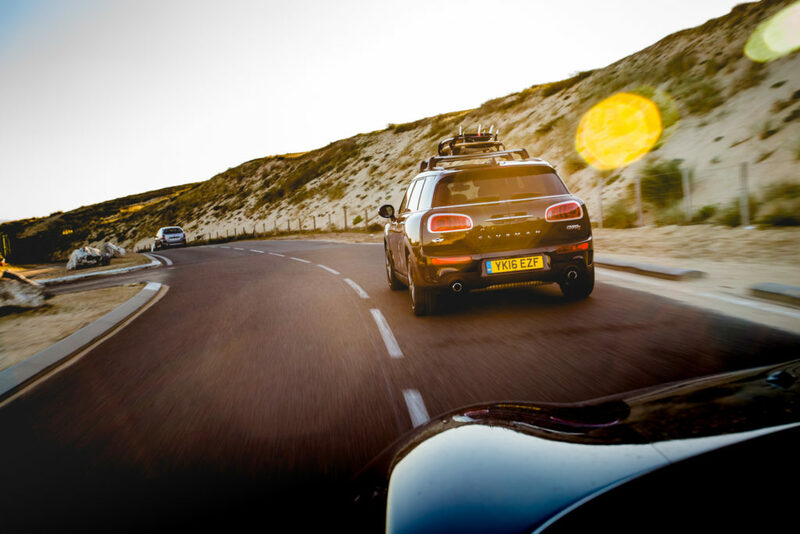 With some top names like MINI covering our transport, Brittany Ferries getting us across the channel, Ticket to Ride sorting our bed and board and Alibi nailing the beverages, we were surrounded by brands to use in a few real life photo shoot scenario. We skipped town and headed to some to the woody trails south of Hossegor to grab the evening golden hour and work our way through shooting to a commercial brief. With the week drawing to a close, there was one last aspect to surf photography that everyone was desperate to try. With the swell dropping and after a thorough briefing on technique, as well as safety, our students met with Ben Skinner, slipped on a pair of swim fins and took to the water in order to grab the holy grail of the surf photography world, the hallowed water shot. With a steep learning curve and a completely new environment to navigate, all while dodging sets and still trying to nail the shot, water shooting is tricky at the best of times. With Lucia providing a selection of water rigs for the students to sample, from a full-size DSLR in an SPL housing to specialised iPhone cases, everyone got to sample the thrill of hitting the shutter as a pro surfer perfectly positions themselves in front of the lens. Wavelength contributor and confident water shooter Tim Borrow was on hand to provide some backup in the water as well as providing an alternative setup with his Aquatech housing and 7D MkII. For our final evening, we dragged everyone away from their laptops, banned any kind of hashtagging or sharing and hit Hossegor town for a classic send off a la France, a few gallons of wine, a tonne of seafood and a whole farmyard worth of red meat. Until next time, au revoir. Need some motivation to get yourself down to Hoss next year? Here’s a small slice of road trip motivation from our epic drive. 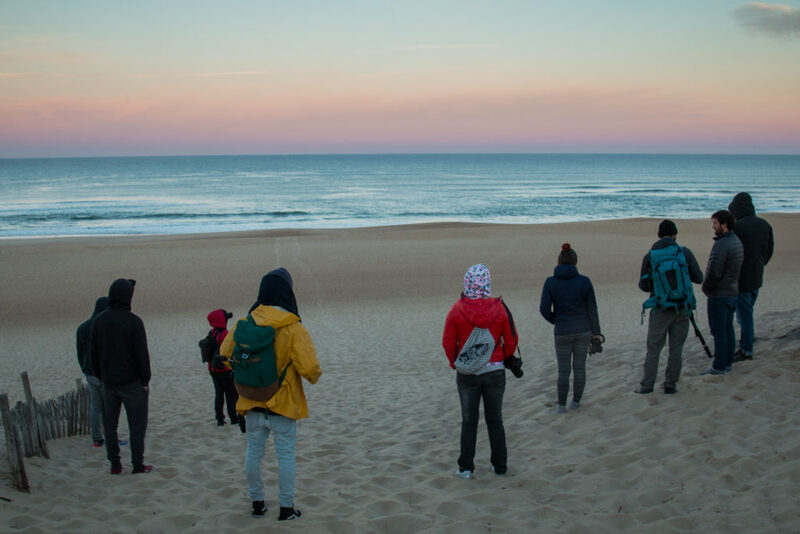 If you want to get involved in our photography workshops next year, sign up to our newsletter or keep an eye on the Hossegor pages on the Ticket to Ride website.